Published 3 August, 2014 in Artist Blacksmith & Metal Art Studio. Unique designs just for you. Image Size: 456 × 250. 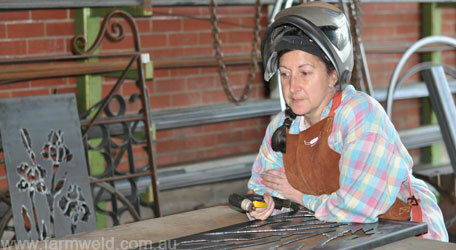 Tricia Hood taking a break whilst hand cutting the Iris design. Got a question? Want a quote? So that we can give you our full attention please phone first to make a mutually agreeable time to meet with us. 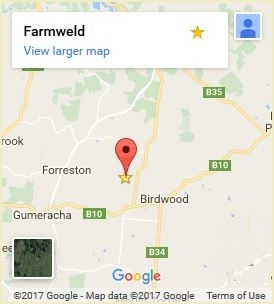 We are located in the Adelaide Hills, at 87 Rathjen Road, Birdwood, South Australia. Is a Wrought Iron Garden Arch Right for Your Garden? Get a Strong Garden Arch that Won’t Fall Apart – Don’t Invest in Heartbreak! Elegant heritage gate, not another mass produced gate. Need a FREE Quote or more information? Copyright © 2006-2017 AJ&PA Hood. All rights reserved.